Ye and Cudi’s album is slated to drop June 8, Kanye’s 41st birthday. After announcing an upcoming collaborative project with Kid Cudi, currently titled Kids See Ghosts, the 40-year-old Kanye West took to Twitter to unveil the possible cover art for the album. Created by contemporary artist Takashi Murakami, anime-inspired versions of the duo are seen adjacent to Murakami’s whimsical style. 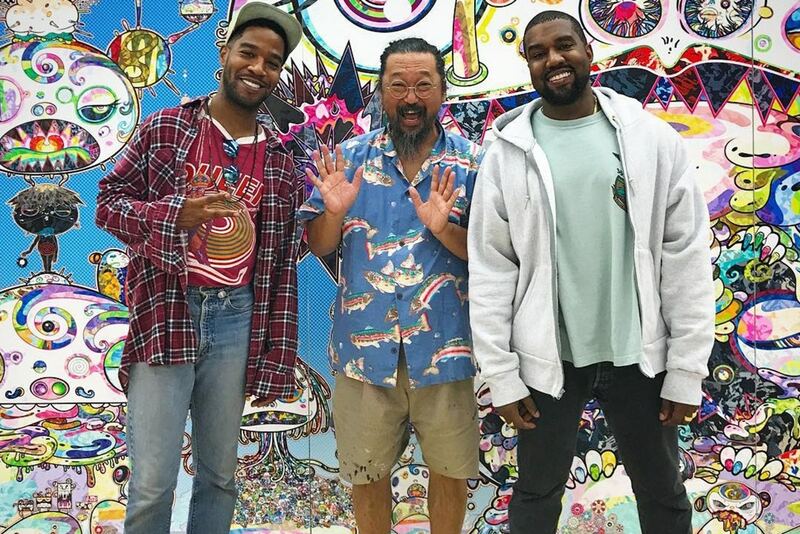 It’s no surprise that the three are working together as YE and Cudi were photographed with artist in his studio back in August. Given Kanye’s recent influx of tweets, hopefully more gems from the album will be revealed before the June 8 release date.